What is this difference between your fiber service and the other guys? ALLO is the only true, all-fiber service available in the state of Nebraska. This means we’re running fiber optic cables from the street directly to your home. The other guys are running copper cables from the street to your home. 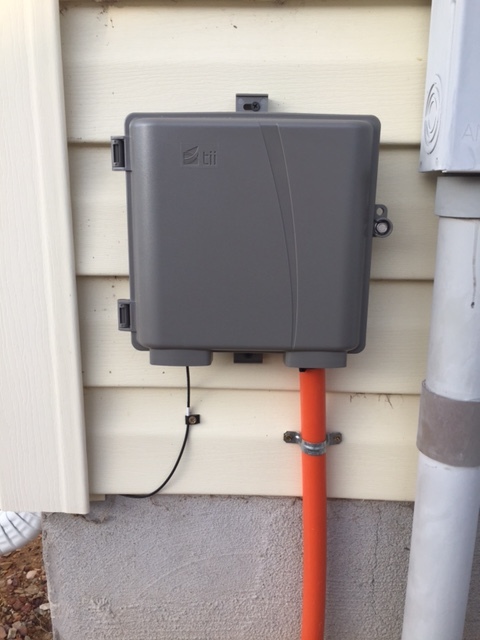 So while you’re technically connected to the street fiber, their copper cabling comes with all the downfalls of outdated technology; significant speed decreases, service blips, and an unreliable connection. Why is fiber better than copper? The fiber optic signal is made of light which entails very little signal loss meaning data moves at a higher speed over a greater distance. Our fiber installation ensures you’re getting reliably fast Internet (up to 1 gigabit! ), even during peak times. Fiber allows you to upload just as fast as you download. Bad weather doesn’t affect fiber because the core is glass making it immune to interference. Additionally, fiber makes your data safer since it’s incredibly difficult to tap into compared to copper cable. We could go on, and we did! Check our ALLO blog for more information about the fiber future. How is ALLO fiber service installed? Throughout the process we will keep you informed and respond to questions while respecting your privacy and property. For an in-depth look at our installation process, read Kami’s Installation Story here. How do I submit landlord approval? If you live in a rental property, ALLO requires permission from the owner or landlord. There’s a quick way to get that done online, just click here. Alternatively, the owner or landlord can call our support team at 866-481-2556. How can property owners request ALLO fiber services for their rental properties? Please complete our Landlord Consent Form online or give us a call at 866-481-2556. Once we’ve received the initial consent, we’ll set up a time to meet with you, arrange a site survey if necessary, and talk through the installation process. What does it cost to switch to ALLO? Nothing. Our installation is always free. Do I get to keep my old phone number? Yes, if you live in our local service area. Please allow 3-5 business days for the number transfer process. Do I need to notify my current provider when I switch to ALLO? Yes, but to avoid service interruptions please wait until our technicians have completed your ALLO installation. Once your ALLO service is up and running you can notify your previous provider of your switch. Is there a deposit required when I join ALLO? Pay $150 deposit prior to installation, this amount is credited to your account after one year of service. Provide a bill copy from a similar provider showing you are current on your account. Transfer an existing phone number to ALLO service. Sign up for auto-payments with a checking or savings account and take the hassle out of monthly bill pay. Click here for our auto-payments authorization form. Reference your latest ALLO statement to find your account number in the upper right hand corner. You’ll also need to enter your city of birth, the zip code associated with your service address, and the email address you provided to ALLO. Click here to begin the registration process. If you have any issues registering please give us a call at 866-481-2556. What happened to my paper bills? If you register and make a payment online you will be automatically enrolled in e-bills and paper billing will be suspended. If you wish to receive paper bills instead of e-bills please call customer service at 866-481-2556. Depending on when you are installed with ALLO service your bill will always be due on the 1st or the 15th of each month with a five day grace period before a late fee is initiated. If you would like to change your due date from the 1st to the 15th or vice versa, please give us a call at 866-481-2556. Why did you increase your standard internet speed? Because we can. Our team is constantly working to improve our network so handling the increased volume and speed is not an issue for ALLO. We believe our service should future-proof customers for their increasingly connected lives. So while you may not need 300Mbps internet to check your email or upload photos to social media today, we’re ensuring you have the bandwidth and wireless capabilities to keep you surfing seamlessly tomorrow. How do I make sure my devices get the best speed? For the best speed, ALLO recommends connecting your devices directly to your GigaCenter router. For optimal wireless speed, we recommend connecting to the 5Ghz network. If you don’t see the 5Ghz network in your list of available Wi-Fi networks, your device may not support 5Ghz technology or 300Mbps speed. For a more detailed look at device capabilities and possible environmental limitations, please read our wireless strength blog. Once connected to the 5Ghz network, higher-end devices should be capable of reaching 800Mbps on a GIG connection, or 240Mbps on our standard 300Mbps speed. What are my choices for Internet speed? Customers in our fiber communities have a variety of options ranging from 20mbps all the way up to 1 Gigabit. All standard packages include 300 mbps Internet speed. Click the GET ALLO button at the top of the page to build a custom package now. ALLO’s latest equipment allows you to connect more than 100 wireless devices and our fiber technology means you’ll never have to compete for bandwidth or suffer through that painful buffering wheel again. It’s easy, just click here. What is the GigaCenter router? We want our customers to truly experience the power and speed behind our fiber optic technology which is why we include our GigaCenter router with ALLO service. The GigaCenter gives you two networks, a 2.4Ghz network and 5Ghz network, to provide the fastest speed and widest range per device. Newer, compatible devices may automatically select the 5Ghz network for wireless speeds as fast as 1 GIG. The 2.4Ghz network provides a greater range of service keeping you consistently connected. A periodic scan of your wireless environment keeps you surfing strong and fast by automatically selecting the least congested channel. Additionally, scheduled configuration backups help prevent the occasional headache when Junior decides to find out what happens when he pushes the “reset” button. These backups ensure an easy and simple restore of your settings. Our router is designed to keep up with the evolving world of wireless devices. With gadgets to start your laundry remotely and order the detergent with the press of a button, you’re going to need a router that can keep up. The Gigacenter lets you connect 128 devices (64 per network). You read that right, one hundred twenty-eight devices. Have we mentioned the future? We’re all about it. And finally, taking a moment to flex our tech muscles here, we really like to brag about the GigaCenter’s radios, they operate at the maximum conductive emissions allowed by the FCC (translation: they provide the strongest Wi-Fi signal allowed by the government). We talk a big technology game and then we back it up with fiber optics and our GigaCenter router. Customers are welcome to use their own router or network equipment, just be aware, our team is unable to support non-ALLO equipment. What is the ALLO Wi-Fi Extender? Microwaves, cordless phones, and wireless speakers seem like totally ordinary household appliances but they can have a major impact on your wireless signal strength. We do our best to avoid these environmental Wi-Fi haters during installation. Unfortunately, concrete walls and lath and plaster construction can wreak havoc on your signal too and aren’t as easy to get around. Additionally, larger homes may experience loss of signal the further your devices travel from the GigaCenter. If this is sounding all too familiar, we have a solution. The ALLO Wi-Fi Extender is designed for homes like yours. This equipment doubles the benefits of your GigaCenter router including your wireless coverage, the number of TVs you can hook up to ALLO service, and the number of wireless and wired devices you can connect. Eliminate wireless dead spots, extend your wireless range to the corner bedroom in the basement or the garage or back patio and enjoy twice the fiber benefit from ALLO. Please note, the ALLO Wi-Fi Extender is only available to customers utilizing the ALLO provided GigaCenter router. If you choose to use your own equipment, we cannot support the ALLO Wi-Fi Extender in conjunction with non-ALLO equipment. What is the ALLO SmartCare App? Click here for more information on the ALLO SmartCare App. Tell me about your bandwidth. Our network capacity is so immense that ALLO’s customers seldom utilize more than 50% of our bandwidth. ALLO monitors usage and can purchase additional bandwidth as needed. Customers are able to actually experience the bandwidth promised at all times of the day even during peak usage hours. What are symmetric Internet speeds? Symmetric speeds mean you can upload just as fast as you download providing efficient and reliable communications. ALLO’s competitors offer asymmetric speeds which makes Internet speeds unreliable. With asymmetric speeds you may get 10 Mbps down but only 1 Mbps up and the slowest speed in the formula controls the information flow. Can I have Internet service without phone service? Communities served by ALLO fiber are Alliance, Bridgeport, Gering, Lincoln, Ogallala, North Platte, and Scottsbluff. If you reside in a fiber community you can have Internet service without a phone. In other areas phone service is required for Internet service. Nope! As long as you’re not doing anything illegal, the sky’s the limit. But if you’re breaking the law, be assured you’ll be hearing from us. How redundant are your services? ALLO currently utilizes TeliaSonera and Hurricane Electric for its internet drains. In the event of an outage, our traffic routes over to other providers to keep your connection strong and secure. How Does Whole Home DVR work? ALLO’s Whole Home DVR service allows you to record and watch recordings from any TV in the house. So you can record the big game in the basement, watch it in the bedroom, and still record Top Chef in the kitchen without missing a pass or a pinch. And it gets better, rather than charging you for DVR service on each TV; it’s just one low cost per month for the service. The monthly DVR service fee is separate from the monthly set-top-box charge which is required for each TV. Can you walk me through your remote control quick tips? How do I connect my Wireless Set-Top Box to my ALLO Router? Please note: The following instructions explain how to enable a wireless protected setup. This requires steps 2-4 to be completed within a two minute window. 1. Ensure the Set-Top Box (STB) is properly connected to the corresponding TV with an HDMI, component, or RCA cable. 2. Turn on your new STB by connecting the power cord to the back of the box. Your TV will display a connect screen with an image instructing you to press the OK button located on the front of the STB. Do not press OK at this point. 3. Locate the WPS button on the front of your ALLO router. Press this button three times within ten seconds. An amber colored light should begin blinking next to the WPS button. 4. Return to the STB and press the OK button to connect it to your ALLO router. If prompted for an account number, use the number written below. If the connect screen is not displayed, start over at step 2. 5. If successful, the blinking light next to the WPS button should become a solid amber light. The STB may go through an auto-update and your TV service should restore shortly afterward. 6. If you have additional STBs that need to be connected, wait 30 seconds and repeat steps 2-4 for all STBs individually. WTVE is a free service for ALLO TV customers who subscribe to Basic, Expanded, and/or Premium channel packages. This service is not available to TV customers who subscribe to Locals Only programming. WTVE allows you to watch all your favorite shows live, streaming from any internet connected device. Never miss another big game, premiere, or season finale – no matter where you are. Learn more at www.watchTVeverywhere.com. How many TVs can I connect with ALLO? We’re not really into limits at ALLO and that’s true for our TV service as well. Our team will walk you through the best placement of our ALLO equipment during your installation. We’ll even be happy to set you up with additional boxes at the time of installation if you realize you need one or two more. Larger numbers of set top boxes (eight or more) can sometimes cause signal interference but don’t worry, we’ve got a friendly team that knows how to handle it. If you choose to connect nine or more set top boxes, we’ll reach out to you prior to the scheduled installation to ensure you get the absolute best viewing experience. How do I move my ALLO service to a new address? If you’re moving to an ALLO serviceable area, give us a call to schedule a service move. Our technicians will pick up the equipment at your old address and install it at your new home the same day. And because we know moving is hassle enough, we provide this service to you at no extra cost. Am I under contract for service with ALLO? No, our service is contract-free. Is there a penalty for disconnecting my ALLO service? No. If you’re unhappy with your service you can disconnect at any time with no financial penalty. We’ll even schedule a time for a technician to recover equipment. How do I contact ALLO about a construction related issue, question, or concern? Please complete this form to communicate construction questions, concerns, or complaints with our team. Non-emergency requests are handled within four business days. Optional: Provide up to 3 images documenting the issue. Accepted file types: jpg, png, doc. Will I receive notice before locate flags or markings are placed? We do our best to inform ALLO communities of the entire construction process by mail prior to the arrival of our construction team. However, the city and contractors will access the utility easement area of you property to mark existing utilities and communications lines before our construction can begin and they are not required to provide notice of their flags or markings ahead of time. There are flags and people in my yard, what are they doing? The flags or marking in your area were placed by the local utilities companies and help our team identify where the lines are underground. When ALLO begins fiber construction, we use these markings to protect against damage to your property or utilities. Please see the list below for an explanation of utility color associations. How long will the flags or markings be in place? Utility locate flags or markings are good for 10-14 business days. If construction has not been completed in that time frame, the area will need to be re-marked. How deep will you have to dig to bury the fiber line? The main line in the easements and right of ways are buried between two and four feet deep and the fiber drop to the house or to the pedestal may vary between 12 to 18 inches in depth. 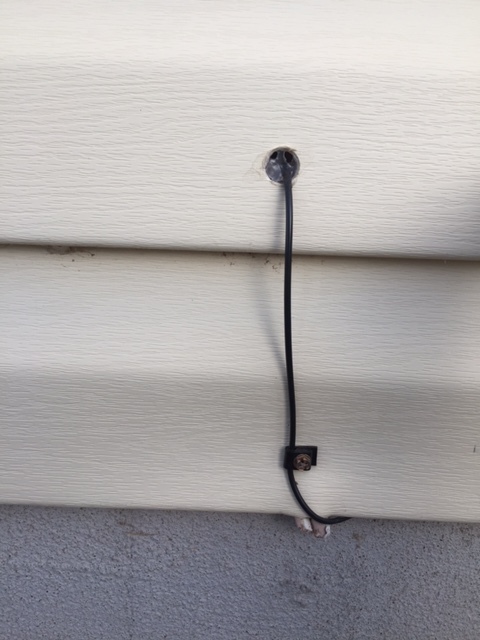 There’s a cable in my yard or draped over my fence, what is it? This is a temporary fiber drop. Our team will return soon to establish a permanent and less intrusive location for the cable. Weather can sometimes play a role in this process and if delays occur ALLO will notify you with an updated timeframe for permanent drop construction. If your fiber is installed during winter months when the ground is frozen, you may have a temporary drop until the spring. If your existing utilities are underground, ALLO will follow the same path. How large is the conduit that contains the fiber optic cable? The conduit ranges in size from ¾ inch to 2 inch, but our standard is ¾ inch. There is a hole in my yard with a fence around it – what is that? We are placing pedestals in the easement in your yard. The pedestal, with weather permitting, is installed shortly after the ground is prepared so there is a fence placed around the hole for safety. The pedestal that is eventually placed here houses the equipment to provide service to several homes and businesses in your area. Our intent is to leave your property the way we found it. What is an “easement” or “right-of-way”? The city owns small but specific portions of your property to access and maintain city utilities. We work with the city to access these areas as we build our fiber network. A utility easement allows a utility the right to use and access a specific area of your property for constructing, operating and maintaining gas, electric, water, and sewer lines. The easement is often a permanent restriction on the property so that it transfers ownership with the home or property when sold. Having an easement gives the utility the right to use the land, but the utility does not own it. A “right-of-way” is the surface and space above and below any real property in the city in which the city has an interest as an owner or trustee for the public for public travel including public streets, highways, avenues, roads, alleys, easements, sidewalks, tunnels, viaducts, or bridges. How do I find the easement in my yard? There are a few ways to determine the easement area of your property. Review the deed to the property which can be obtained from the county clerk or recorder. The easements will be explained in the legal description of the property. Contact the zoning or mapping department for your county or city. These departments are in charge of keeping records of surveys and plot maps and can help provide information about an easement on your property. Reach out to the utility company — or any entity with easement rights — to request the easement information regarding a certain property. Contact a title insurance company, or private title searcher, they can be hired to perform a search for easements. They are often able to provide a comprehensive report for a fee. Why is there a pedestal in my yard and not my neighbor's yard? Location of the underground conduit that will feed the pedestal. Ease of accessibility for crews to construct and maintain the network. How long after you’ve dug in my area will it take to get ALLO service at my home? Visible construction in your area means we are close to bringing fiber directly to your residence. The best way to find an estimated service timeframe is to choose your location from the main menu and enter your address on our interactive map. This depends on the layout and design of your neighborhood. Some areas are built with easier access to utilities and easements, others have more complex designs and natural obstructions which can cause delays. Planning, design, and engineering are months in the making before you ever see a sub-contractor or ALLO team member make an appearance. City planning is unique in every area and in our 10+ years building GIG communities we’ve found that no two neighborhoods are alike. For these reasons and the ones that are far outside of our control, like weather and unexpected natural obstacles, we recommend checking our interactive website map for the most up to date information on your neighborhood. Do I need to mark my sprinklers to avoid damage? Marking sprinklers in advance of construction is certainly helpful but not mandatory. How will I be contacted regarding the start of construction? ALLO will reach out to you regarding construction in a variety of ways including direct mail notices, emails (sign up for those here), door tags, and in-person visits from our quality assurance construction team. What variety of grass seed will ALLO use to replant in the spring? The seed variety is fescue blend, which has proven to be the most successful for this particular climate zone. Are there city mandated hours in which construction can be performed? According to the Lincoln Public Works and Utilities Right-of-Way Procedures Manual: Except in the case of an emergency, no work will be permitted between the hours of 10PM and 6AM, except for instances when the Public Works Department deems it necessary to expedite construction and/or minimize traffic disruption. In these instances, the permittee will be required to obtain a noise permit from the Lincoln/Lancaster County Health Department. Who takes care of the damage subcontractors do to my property? ALLO has hired a local contractor to manage the sub-contractors who help build the infrastructure needed for ALLO’s fiber network. For Business Phone: Wi-Fi Calling allows you to copy your office phone on your smart phone, keeping your mobile number private. In-bound callerlD allows you to see who is calling your work phone and you can answer on your mobile device as if you were at your work phone. When making a call with ALLO Wi-Fi calling, out-bound callerlD will show your work number. Incoming calls ring your office phone and mobile phone simultaneously so there ls no need to forward calls or wait at the office for someone to call you. Best of all, your business contacts only need one number to reach you in or out of the office. For Home Phone: See who is calling your home even when you aren’t there. Never miss the important calls from your doctor or school because you aren’t home. With ALLO Wi-Fi calling you see who is calling your home and answer if you want. Calls ring your home and up to 5 mobile devices simultaneously. Save money by reducing your mobile or roaming minutes as the app uses LTE or Wi-Fi internet. If you currently have ALLO phone service, the cost is $5/month, includes Unlimited Long Distance. If you do not currently have ALLO phone service, the cost is $10/month, does not include Unlimited Long distance. You’ll need ALLO service, a direct telephone number, an Android or Apple Smart Phone, Tablet, or PC, and LTE or Wi-Fi service. This service allows a customer to call another party during an existing call and add this party to the call, creating a three-way conversation. When on a call press flash-hook and then dial the third party’s number. If the third party answers, hit flash-hook again to add both of you to the original call, connection all three parties. If the third party does not answer or their line is busy, hit flash-hook twice to rejoin the original call. If you hang up you will receive a ring back reminding you that the original call is still on hold you can pick it up to resume the call. To activate Anonymous Call Rejection, Press *77 (1177 for rotary telephones). To deactivate Anonymous Call Rejection, Press *87 (1187 for rotary telephones). When this feature is enabled on your ALLO telephone number, calls that are marked “private” or “blocked” will be automatically rejected. Additionally, the end user will receive a message indicating your ALLO telephone number will not accept “private” or “blocked” number calls. This service forwards all incoming calls to an alternative number, without ringing the customer’s phone first. This service allows a customer to pick up an incoming call to any other line by dialing an access code. The customer can pick up an incoming call while the telephone is ringing but cannot pick up a call that is already in progress. To use Call Pickup to pick up an incoming call, dial *11. The oldest incoming call within the group will be picked up on your line. This service allows a customer to call another party during an existing call and transfer the call to the second party. To transfer a call to a second number, press flash-hook and dial the second number. You can then hang up either before or after the second number answers and the call will be transferred to their line. Allows a customer to receive a second call while they are already on the line, an alert tone will sound on the current call to notify you of the additional incoming call. Depress the switch hook to place first call on hold and to connect with the Call Waiting caller. End first call and hang up. The telephone will ring and the Call Waiting calling party will be on the line. Depress the switch hook to alternate between calling parties. Dial *70 from a touchtone telephone (1170 from a rotary phone). There will be a short stutter followed by a second dial tone. Call Waiting is automatically restored when the call is terminated. Conference bridge facilities are available at a one-time charge or you can choose unlimited use with a monthly fee. Customers would call a toll free or local number then enter a participant/moderator code to be connected to a bridge. For more information and pricing for this feature please call our customer support team. These services forward calls from the customer’s line to an alternative number only if calls are not answered on the customer’s line. Fixed variant of Delayed Call Forwarding allows the subscriber to configure a particular forwarding number that is always used by this service. This service allows the customer to block their line temporarily to prevent incoming calls. This service provides a way for subscribers to configure additional numbers that will be rung instead of or in addition to the customer’s own number any of which can answer the call. This feature allows you to hear the telephone number of the last incoming call by dialing an access code whether the call was answered or not. Allows the customer to “prompt” the central office to redial the telephone number of the last incoming call by dialing 1. Provides the telephone number of the last incoming call before the prompt to return the call. If, after dialing 1 to have the central office connect the customer with the last incoming caller, the customer reaches a busy signal, the Last Call Return service will automatically continue to redial the number for up to 30 minutes. When the Last Call Return service determines that the last incoming telephone number is no longer busy, the central office will ring the line with a distinctive ring (short, short, long) to let the customer know the call can now be completed. Ignore the distinctive ring. The central office will attempt to reestablish the call later. The end-user will receive an announcement advising to reactivate Last Call Return by dialing *69 or 1169 for rotary dial phones. This feature blocks incoming phone calls that use a computerized autodialer to deliver a pre-recorded message, as if from a robot. To enable this feature, please call 866-481-2556. This service will ring multiple phone numbers simultaneously maintaining constant accessibility even when you’re away from home or the office. This service allows one-digit or two-digit codes to be used as shortcuts for selected telephone numbers. The short code defaults are 2-9 and 20-49 respectively. Dial the one-digit or two-digit access code (*74 or *75 respectively). Enter the one-digit or two-digit short code, followed immediately by the number to which the short code maps. A confirmation tone is played, then after a second of silence the dial tone is played. Dial the short code and then either dial “#” or wait four seconds. This service forwards all incoming calls on to an alternative number, without ringing the customer’s phone first. This service forwards all incoming calls on to an alternative number, without ringing the customer phone first. There will be a courtesy call to the forwarding line. The call forwarding will be activated once the courtesy call is answered. If you are not able to answer the courtesy call, you can activate the call service by dialing *72 again. Use our reference guide to set up your voicemail messaging system and learn more about additional features like message forwarding, changing your password, and remote access.